The east coast has some of Tasmania’s finest food and wine producers and growers, chefs and restaurateurs. The region’s premium produce—from ocean-fresh seafood, crisp vegetables and sweet fruits to award-winning cheeses and cool climate wines—can be sampled at farm gates, markets, festivals, restaurants and cafes all along the Great Eastern drive. The east coast has some of Tasmania’s finest food and wine producers and growers, chefs and restaurateurs. You can buy freshly harvested Tasmanian seafood, including oysters and mussels, from marine farms including the Freycinet Marine Farm near Coles Bay, and Spring Bay Seafoods, at Triabunna—an award-winning certified organic seafood producer specialising in premium blue mussels and farmed and wild-caught scallops. Visit traditional fish punts on the St Helens waterfront like the Blue Shed Restaurant, Providore and Fishmonger to buy local fish and seafood, or pick up a parcel of freshly cooked fish and chips from the Captain’s Catch. You can also buy fresh, tasty seafood at Salty Seas Seafood Market in St Helens, The Fish Van in Triabunna and Tasmanian Coastal Seafoods at the Gulch in Bicheno. Restaurants along the coast specialise in local seafood—including Spring Vale Wines, where you can savour local seafood matched with fine wines, in their pop-up vineyard seafood restaurant among the vines on the estate, and Granite Seafood and Bar in Bicheno. The east coast is one of Tasmania’s premier wine-producing regions. Visit cellar doors at vineyards along the coast, including Darlington Vineyard at Orford, Devils Corner and Freycinet Vineyard at Apslawn and Gala Estate, Milton Vineyard, and Spring Vale Wines at Cranbrook to sample wines and chat to the winemakers. You can also try the Ironhouse range of handcrafted beers, stouts, wine, vodka and whisky at the BrewHaus café and bar at White Sands Estate, Four Mile Creek. Priory Ridge Wines, located in the small settlement of Priory Ridge, three kilometres from St Helens, is a boutique vineyard specialising in pinot noir and sauvignon blanc wines. You can spend a long, lazy morning or entire whole day foraging at produce markets and visiting farm gates along the Great Eastern Drive. Visit the Pyengana Dairy Company for locally made cheeses and ice cream, and Kate’s Berry Farm for luscious fresh berries in the warmer months, and berry-infused treats all year round. If you’re travelling the Great Eastern Drive in November, don’t miss the Bicheno Food and Wine Festival—an annual celebration of the east coast’s passionate and talented producers, fresh produce and culture. You can also create your own gourmet adventure by packing a picnic basket with your favourite east coast delicacies, selecting a superb view and settling in for a lavish wanderer’s lunch. Match fresh east coast seafood, cheeses, fresh fruits and berries and crisp farm produce with the region’s finest cool climate wines for a five star, al fresco food moment. Try the East Coast Village Providore at St Helens for some choice morsels. One of the great joys of wandering is discovering that little gem of a restaurant or cafe along the way and spending uncounted hours relaxing over good food and wine. East coast eateries range from high-end restaurants, family-friendly bistros to quirky cafes and fish punts serving freshly cooked fish and chips. For more inspiration check our Food and Wine Experiences. Many cellar doors on the East Coast Wine Route are located within a short drive of each other. Allow an afternoon or full day to tour the wineries, enjoy a tasting and settle in for a delicious lunch. Check cellar door opening times with the vineyard before visiting, as some are open only by appointment. 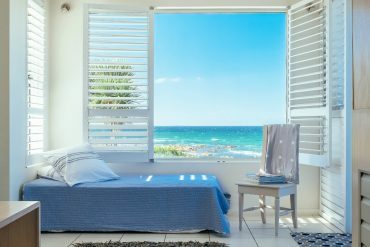 If you’re planning to travel in November, allow a day to relax and enjoy the offerings of the Bicheno Food and Wine Festival, or stay longer and combine your visit with accommodation and tours of the local area. You can time your visits to farm gates like Kate’s Berry Farm, the Pyengana Dairy Company and the Freycinet Marine Farm to include a lunch, afternoon or morning tea. Tours of Freycinet Marine Farm, including tastings of oysters and mussels, are available for groups of 10 or more and take one hour (bookings essential). Check with individual farm gates and businesses for opening times before you travel.